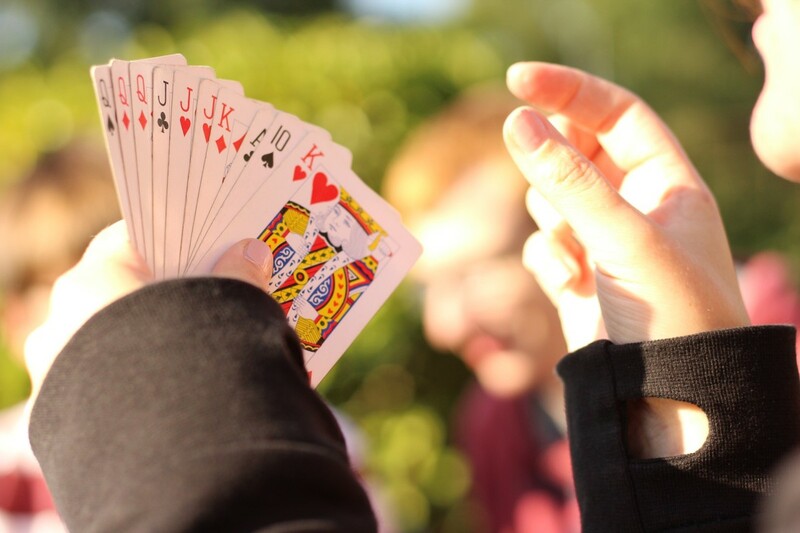 The game of Hearts has been around for many years, with multiple variations played all over the world. 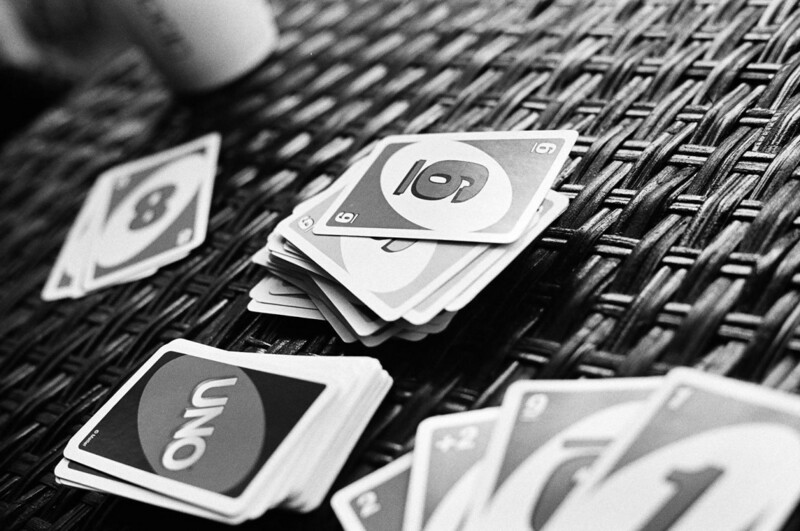 However, the most common method involves using a 52-card deck with four players, who each receive 13 cards. The goal of the game is to receive the fewest points as possible. 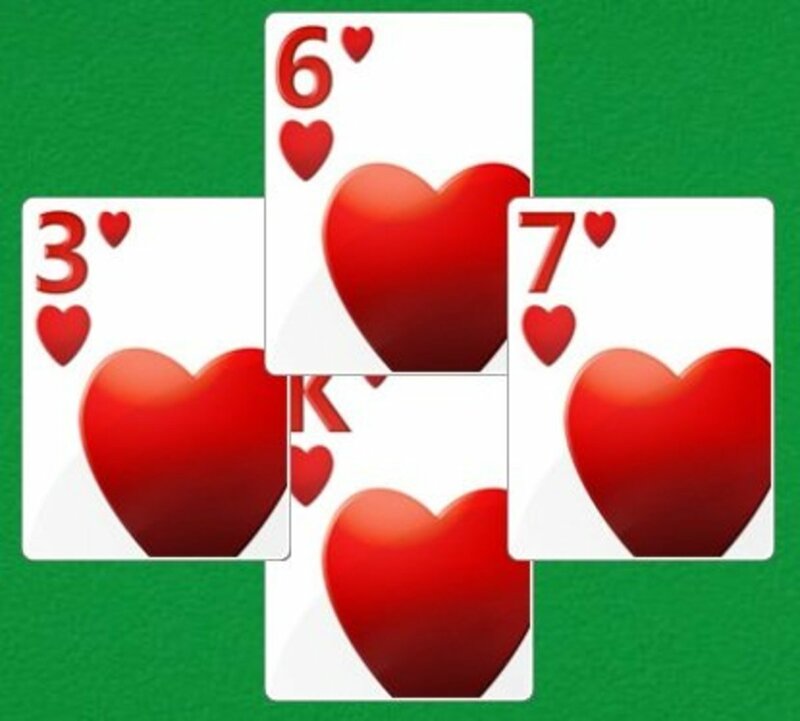 Hearts are worth one point each, and the Queen of Spades is worth 13 points. 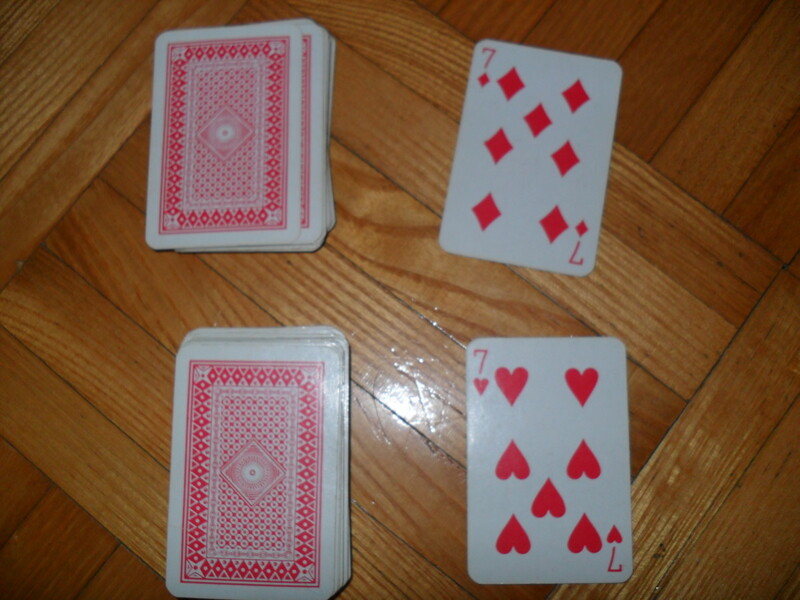 The highest card in each suit is the Ace, while the lowest is the deuce. 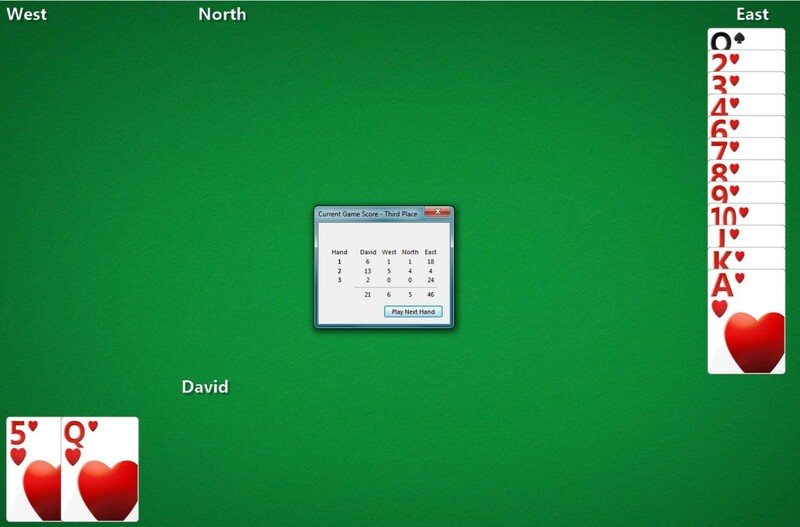 Typically, the first person to reach 100 points ends the game, and the person with the lowest amount of points is considered the winner. Since no one can see the cards the other players are holding, it's mostly a game about deception and trickery. 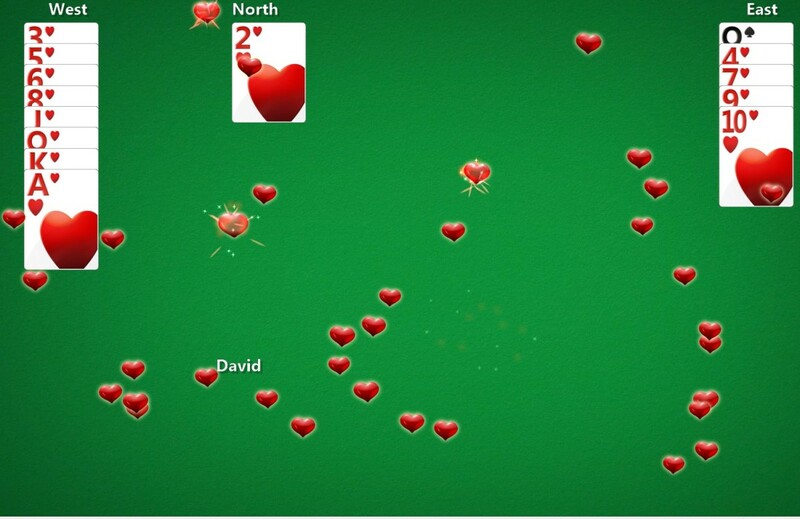 Like most other card games, Hearts has made its way to the computer and mobile platforms so that people can play against the AI (artificial intelligence) or other players online. If you use the Windows operating system, the game should already be on your machine. If not, then there are multiple games that can be found online. 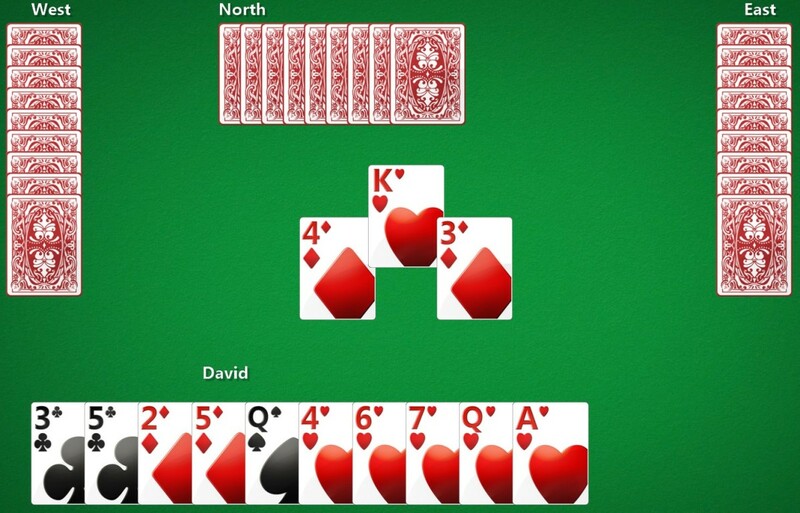 There are also phone apps that you can play Hearts on as well. No direct or little human interaction, unless played online. Able to socialize with other people. Computer warns of improper play. Possibility or making mistakes or improper plays. Won't be able to cheat. More of a chance for cheating. No real handling of cards. Can handle and feel cards in your hand. Games are quick and orderly. Games can take much longer. There are various rules that you must adhere to when playing Hearts. Luckily when playing on the computer all of this is figured out for you, but you should know the rules so you can plan your strategy when you play. Suits and card ranks. Before you even attempt a game of Hearts, you must know about the suits and card ranks. 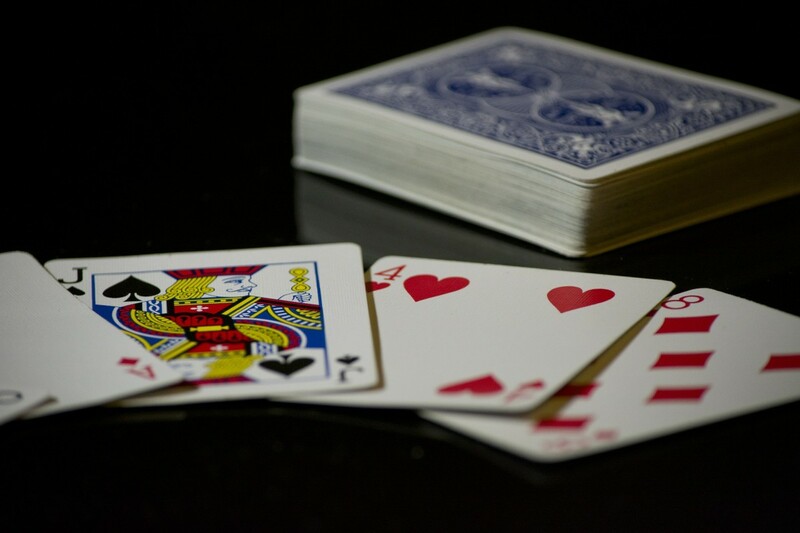 Whoever plays the first card of a hand (also known as a trick) determines what suit must be followed. So if someone plays a club, then everyone else must play a club if they have it. The highest card in that suit receives the cards from that hand. What if you don't have a card in that suit? Then you can play any of your other cards. Even if it's ranked higher than the card in the suit initially played, you do not receive the cards from the trick. 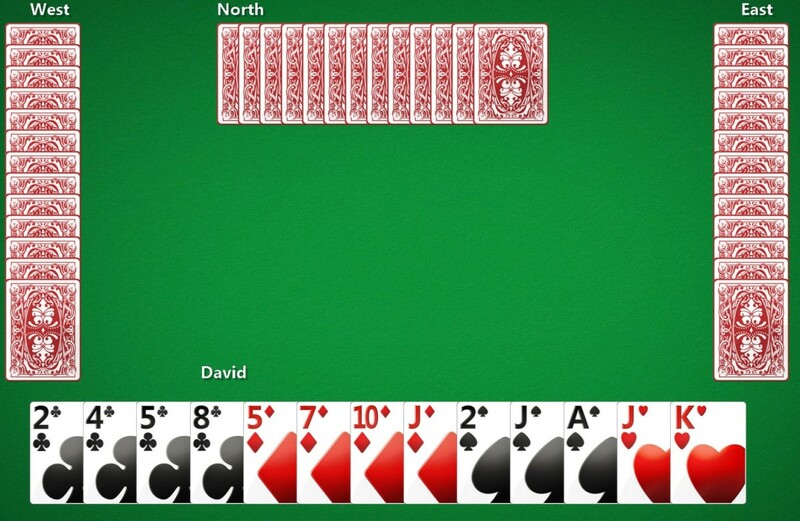 For example, if the first player put down a Three of Diamonds, and the next put down a Queen of Spades, the player with the Three of Diamonds would win the trick. Passing three cards. 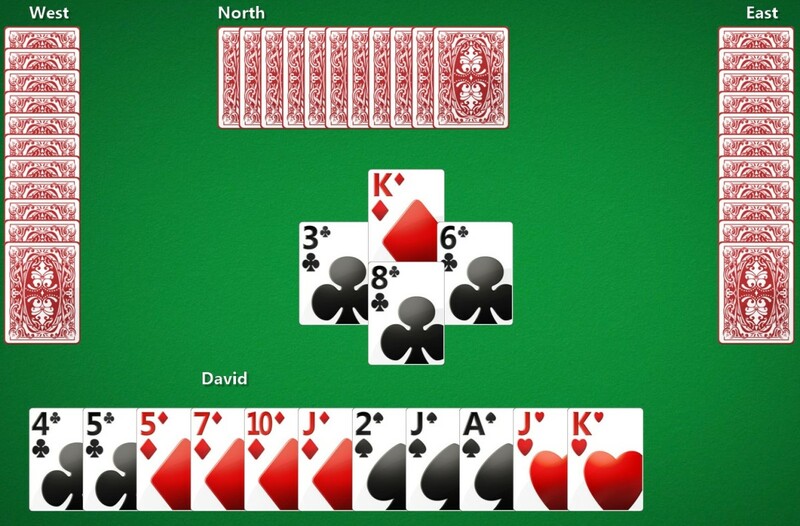 During the first three hands of the game, you will pass three of your cards to another player. The first hand you will pass to the player on the left, the second to the player to your right, and the third to the player in front of you. On the fourth hand, you won't pass any cards at all. Then the process starts over again. 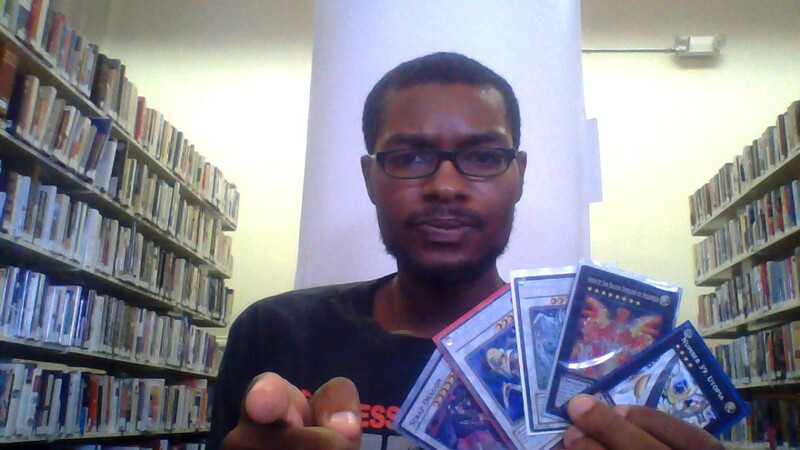 Knowing who you will be passing to is important when you play cards. 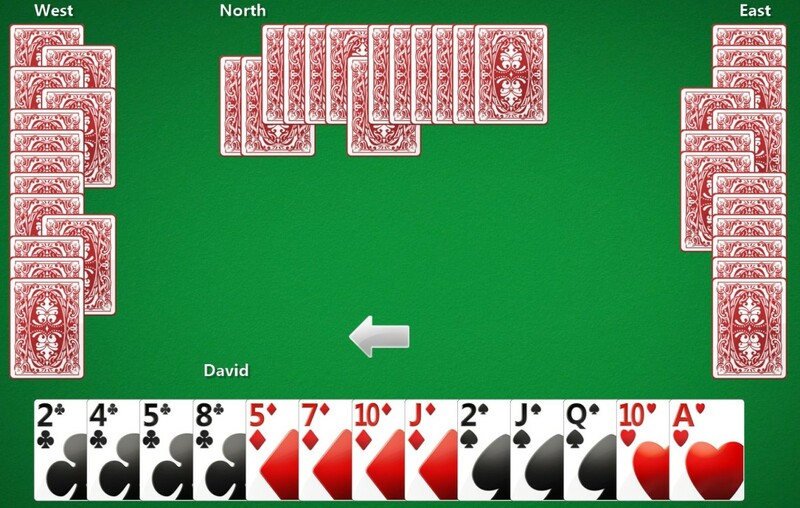 The computer version will prompt you to select three cards. Be watchful for those time limits! 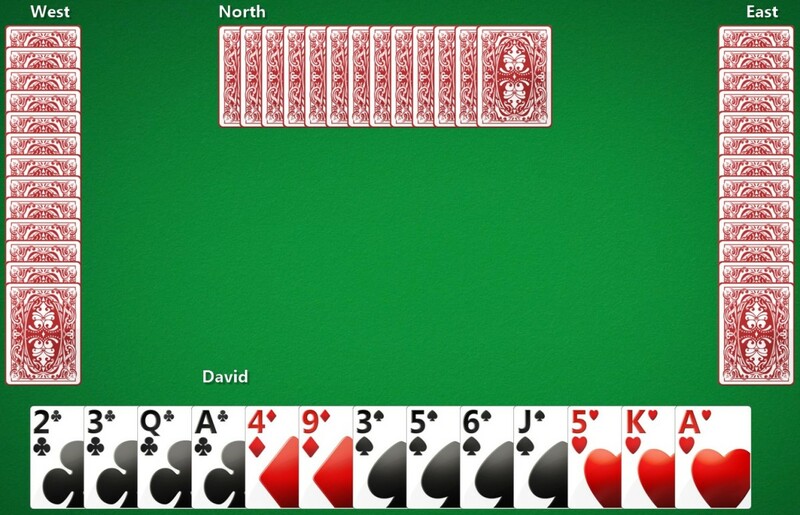 First play of the hand. Whoever has the Deuce of Clubs always has to play first, and it has to be that card. Then everyone else follows and plays a card. Whoever has the highest club wins the hand. However, if a player doesn't have a club to play on the first hand, then they play another card. The only exception to this is that you can't play a card that would result in a point - so no hearts or the Queen of Spades. Most computer versions will prompt and advise you of these rules. Second play of the hand. Whoever wins the first hand will now play a card from their hand. They may not play a heart unless they have no other suits in their hand. The first heart. 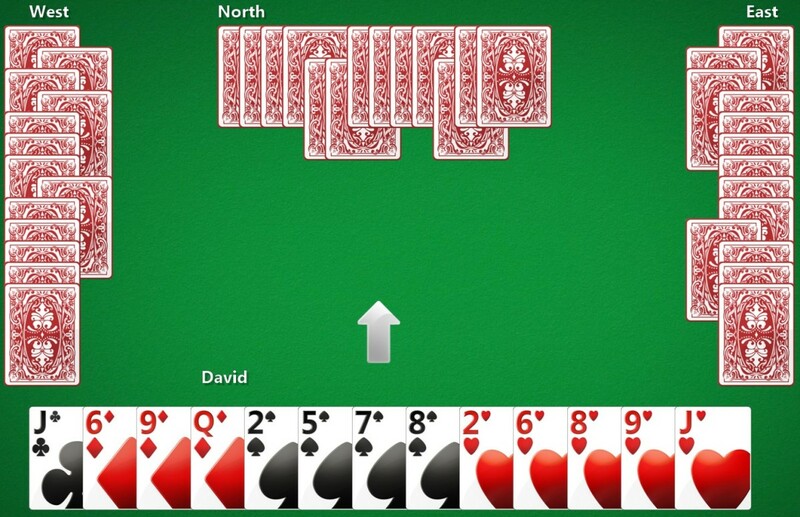 Eventually, a player will only have hearts in their hand, or, will not have the suit initially played by the first player of a hand. 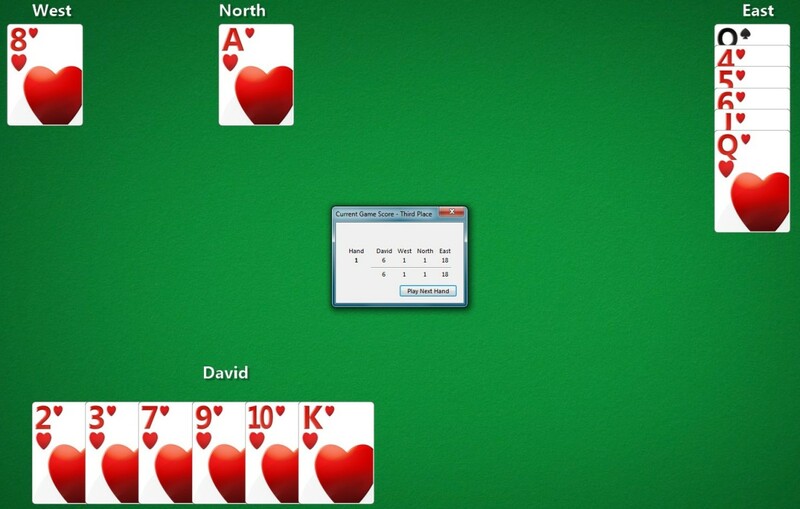 At that point, the player can play a heart, "breaking" the barrier on playing hearts. Some computer versions will advise you that you can't break hearts on a hand if you attempt to. Hearts are now in play. Once the hearts of been broken, they can be played as the first card in the trick. The Queen of Spades. This card is considered deadly, as it is worth 13 points. Most times it is best to be avoided at all costs unless you are attempting to "Shoot the Moon." That is explained later in the article. Points. Once all cards have been played, each player will calculate how many points they have, and add it to their existing total. This is done automatically in most computer games. Pass your lower ranked cards. If you have high ranked cards, you are more likely to win hands each and every time. Keep your higher ranked cards, especially the hearts. If you keep your higher hearts, you have a chance of the other players willingly giving you their hearts. 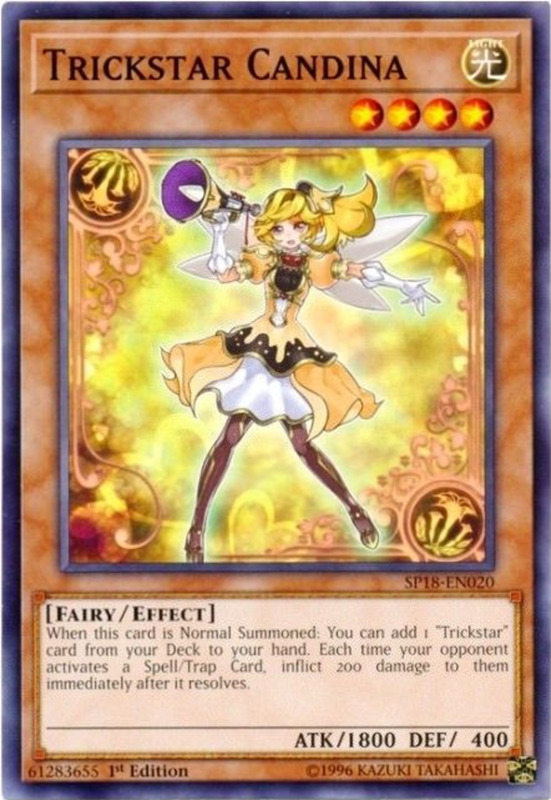 Get rid of your lower ranked cards early. More times than not all players will have all four suits. So do your best to get the low cards in your hand discarded early on in the game. Don't try to win every hand if they don't have a point in it. Keep your valuable high cards and hearts for when you want to win the trick. Keep track of the hands. Hands in the computer version can go by pretty fast, so keep track to ensure you haven't lost any points. No point in shooting for the moon if the opportunity is lost. Do you try to shoot the moon? Yes, any chance I get. Sometimes, only if I see it's possible. How do you prefer to play Hearts? In person with other people. On the computer against the AI. Don't over-think it. 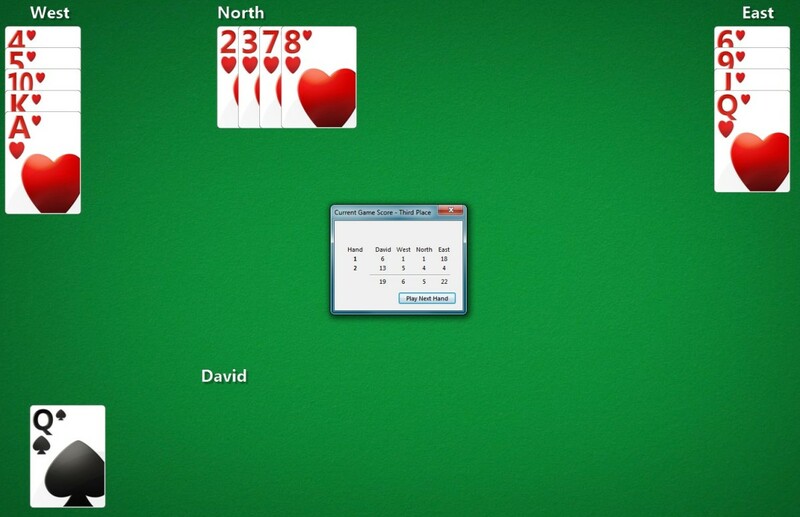 When playing on the computer, the game will figure out the points, if you are making an illegal move, etc. So you don't have to worry about the logistics, especially if you are a new player. Pass your high cards. 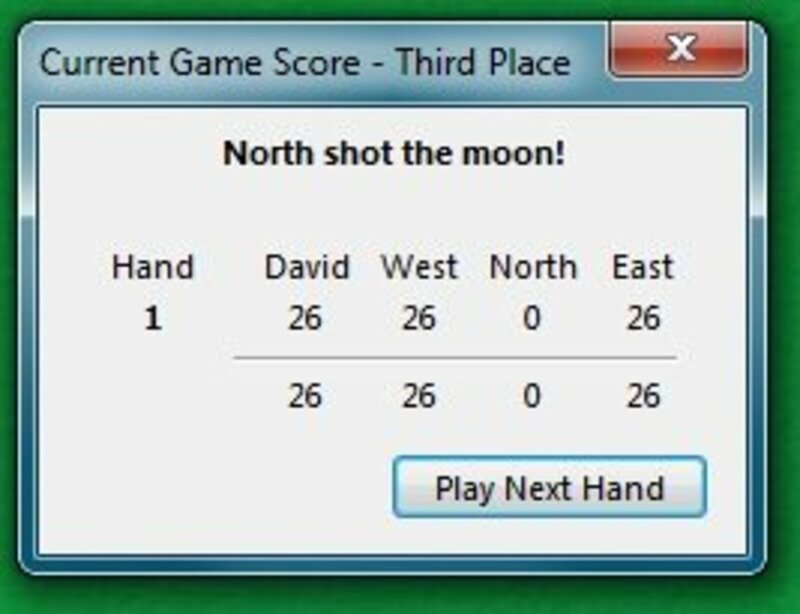 If you don't plan to shoot the moon, then get rid of your high ranked cards, especially if they are hearts and spades. Stack spades. I always try to keep my spades that are ranked 2 thru J. The AI seems to love to throw those spades out early on. Having a lot of low ranked spades will keep you from getting the Queen of Spades. Queen of Spades. If you plan to shoot the moon, keep the Queen of Spades. If you don't plan to shoot the moon, then get rid of it. But always consider the spades you are holding. If you have too few, you may end up with a Ace or a King of Spades, thus netting you the Queen of Spades. Play your highest ranked cards when you can't play the suit lead off with. 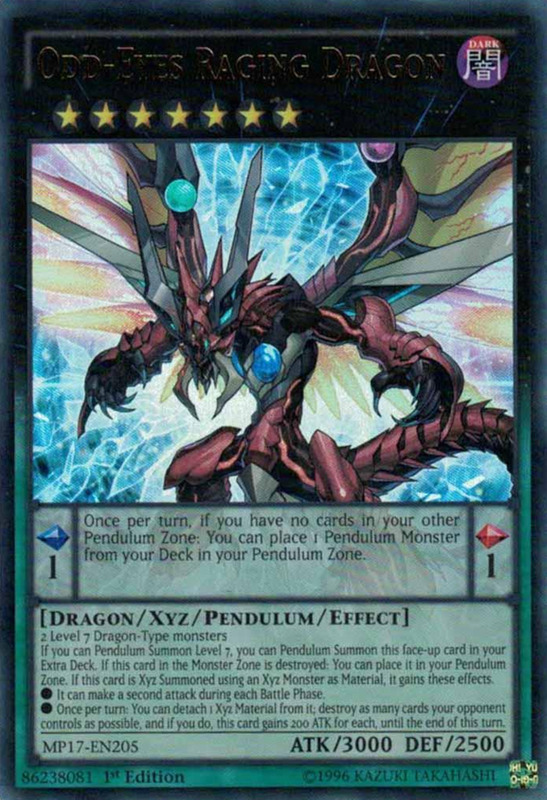 If you have a chance to play a high ranked card from another suit, then do so. This will avoid you getting caught later in the hand with them and potentially ending up with too many points towards the end of the game. Start with the high ranked spades, and then the hearts. Rely on what people say. Most games allow for chatting between players. You have no physical or verbal cues, like you would if you were playing in person, so see what they say and hope that it gives you a clue as to how they play. Confuse the other players. Make unusual plays, throw away cards that make no sense to throw away, etc. This will keep them on their toes. Use the first couple hands to learn about their play style. If it's a 100 point game, then you can afford to use the first couple of hands to see how each person plays, without gaining too many points. Don't make quick decisions. Drag out your decisions a bit. A lot of people are impatient, and may get annoyed enough to make bad decisions if you end up taking a long time to make your play. Learn the variations. There are so many variations of Hearts. If you are wanting to play Hearts online, ensure you learn the rules of the specific website or program you will be using. 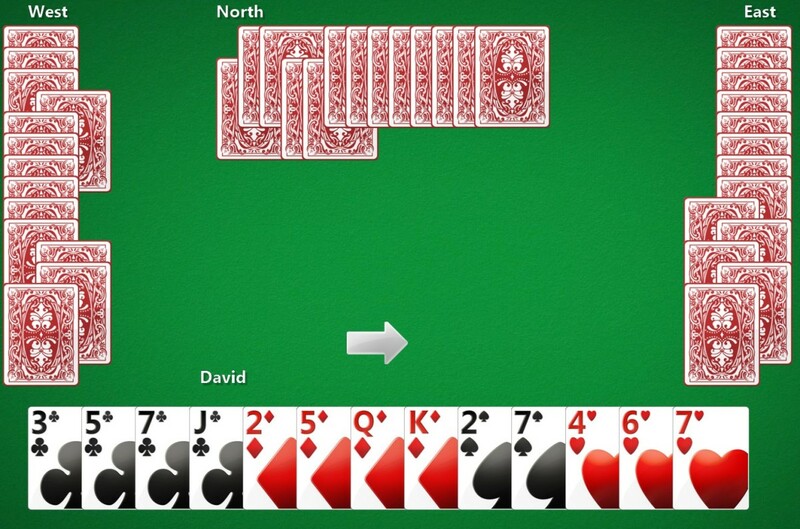 My first four initial starting hands in a game of Hearts against the AI. The points I had at the end of each of those hands, including the current score. The final score when someone finally reached 100 points. Third hand I had in the card game of Hearts. 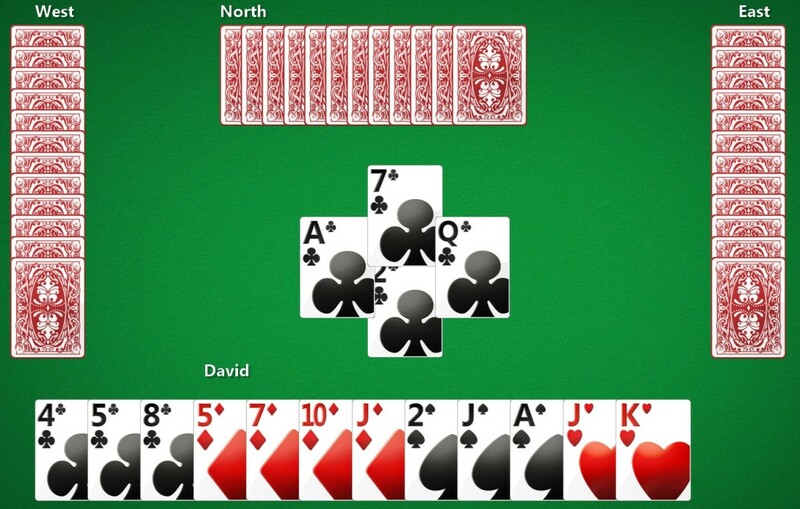 I use to love playing Hearts, I'm going to go find a version for my iPhone now, so many fond memories! I found I enjoyed the game on a mobile device. Thanks for your comment! I just got through playing before I saw this hub. I usually play at least once a day on my iPhone while sitting and waiting for something. Great job of explaining it. Well done. Funny that's how I used to play as well! Once I figured out how to play I was able to "shoot the moon" a lot more often. Thank you for your comment! Voted up, useful, awesome and interesting!